If you love quirky beachside settlements, you'll love Ngawi. 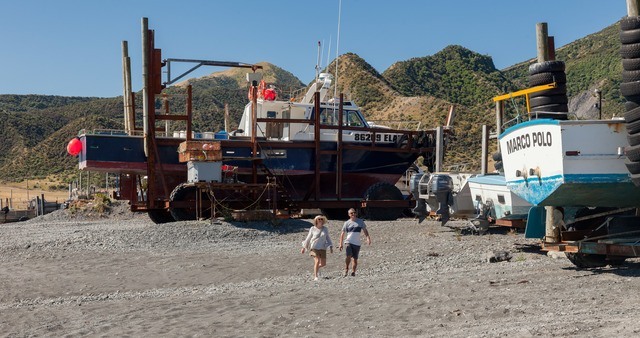 This small fishing village is an hour from Martinborough, on the way to Cape Palliser, the southern-most point of the North Island. Ngawi has more tractors per head of population than anywhere else in the world. These trusty old machines haul the fishing boats in and out of the wild waves of Cook Strait - quite a sight! Ngawi had its heyday as a processing centre for crayfish (rock lobster) in the 1980s. Now it's a rugged retreat for local holidaymakers. 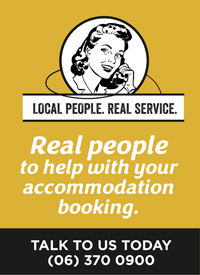 Book accommodation on the Wairarapa coast right now. The Land Girl Pirinoa Coffee House - is a perfect place to stop on your way to Ngawi for a great coffee & simple, delicious food. Ngawi Golf Course - try your hand at nine holes with square greens!